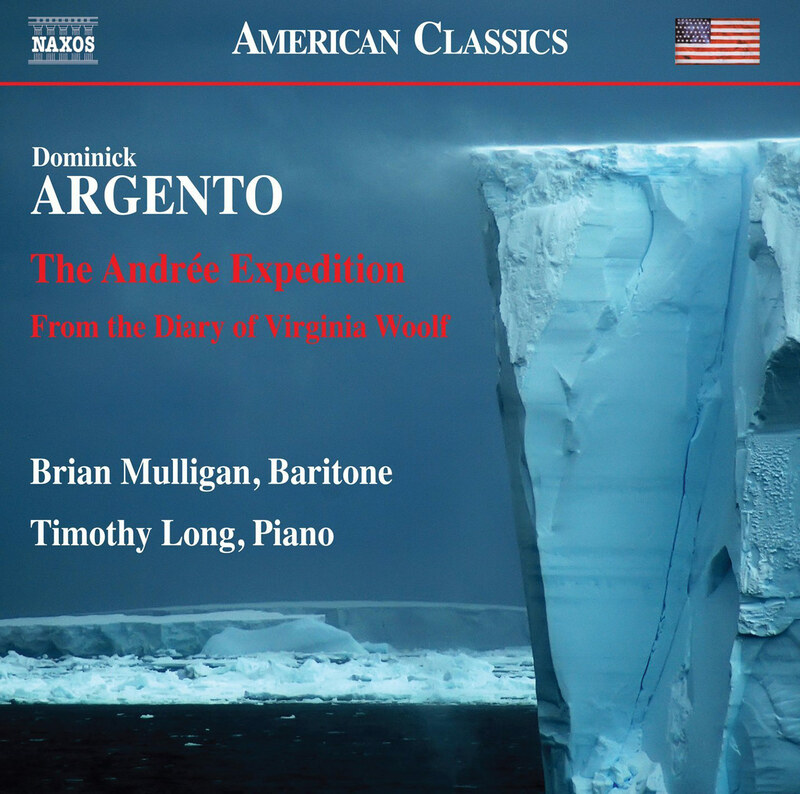 American baritone Brian Mulligan has released his debut solo album on the Naxos label, lending his voice to the music of Dominick Argento. On the album are the composer’s Pulitzer Prize-winning From the Diary of Virginia Woolf (1974) and The Andrée Expedition (1980), which sets letters and diary entries written by the members of the tragic 1897 balloon expedition to the North Pole. Mulligan has a thrilling quality in his voice, an open-throated sound that’s masculine, honest, and completely appealing; his is an exhilarating balance between constant beauty and toeing a risky edge. There’s something accessible about his approach to the texts in Argento’s songs; in Mulligan’s voice they have an “all-American” quality, despite the texts’ origins in Swedish explorers and English writers. With pianist Timothy Long, Mulligan makes an extraordinary journey of sound in both song sets. The Andrée Expedition is divided into two parts, and Argento writes a crystal-clear picture of the explorers’ shift from strapping confidence and heroic pride, to quiet fatigue and even tacit regret. In their letters and diaries, Salomon Andrée, Nils Strindberg, and Knut Froenkel started off with a manly excitement for discovery; it’s something that Mulligan and Long depict with bold, crashing sounds and triumphant cries. That edge that they ride is what carries the slow denouement of part II of Argento’s set. The texts become less fearless, and more about grasping for normalcy and home. Mulligan gathers his sound into something intimate, sad in its optimism. It’s enough to remind listeners of the desperate vacuum in which Strindberg and Froenkel’s letters were written; where would they have hoped to find a post office along their North Pole voyage? 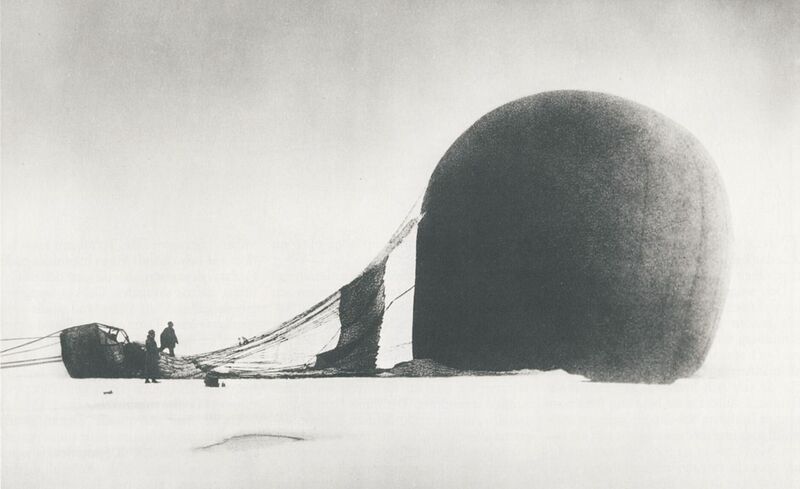 S. A. Andrée and Knut Frænkel with the crashed balloon, photographed by Nils Strindberg. The exposed film for this photograph and others from the failed 1897 expedition was recovered in 1930. Mulligan finds a similar arc in From the Diary of Virginia Woolf, though it’s decidedly marked with more mercurial highs and lows that reflect the shape of Woolf’s mental health over the two decades’ worth of selected texts. Argento leaves a trail of musical motifs throughout the songs, creating a brittle pattern that marks Woolf’s familiar checkpoints in her illness; Timothy Long lets us hear that stream-of-consciousness style in her writing, built into the piano part with a breakable quality. Mulligan achieves an eerie sense of unpredictability with his flexible voice; there’s an odd manner of speech in “War”, and a touching falsetto reserved for “Parents”. The final song feels like a desperate airing of Woolf’s insides, yet Mulligan keeps it collected and almost proud. Brian Mullian and Timothy Long’s thoughtful, magnetic album is available via Amazon and from Naxos.